There are three historic hotels at Pinehurst Resort along with condominiums and villas, all within walking distance of one another and each located within the charming Village of Pinehurst. Complimentary resort transportation is offered from all accommodations to golf and other resort amenities. Opened in 1901, The Carolina Hotel was soon dubbed the “Queen of the South.” This signature hotel has 230 guest rooms including suites. The Carolina is on the National Register of Historic Places. Carolina Traditional rooms feature either 1 King, 1 Queen, or 2 Double beds. All rooms are equipped with Wi-Fi, LCD televisions, marble bathrooms, desk/workstation, feather-top bedding, a mini bar and safe. Second floor room in The Carolina feature showers with a tub. Carolina Premium rooms feature either 1 King, 2 Queen beds. Some include a sitting area within the bedroom. All rooms are equipped with Wi-Fi, LCD televisions, marble bathrooms, desk/workstation, feather-top bedding, a mini bar and safe. Second floor rooms in The Carolina feature showers with a tub. Carolina Suites feature either a king or 2 double beds in the bedroom with a connecting living room with sofabed, 2 chairs, television and small refrigerator as well as All rooms are equipped with Wi-Fi, LCD televisions, marble bathrooms, desk/workstation, feather-top bedding, a mini bar and safe. The 1,700 sq. ft. Presidential Suite, located in the West Wing of The Carolina Hotel, combines the elegance of a luxury home with the resources of an executive office. Add to that the services of a dedicated valet and you have a modern haven within a century-old resort truly fit for a king. The Holly Inn was Pinehurst’s first hotel and is located in the heart of The Village. The Four Diamond Holly features 82 guest rooms and suites each as unique as the hotel itself. Every detail has been attended to. Decorating the walls and floors are a series of natural botanical prints and images, reminiscent of times gone by. You’ll see the fine touches in every nook, from the jewel-toned Tiffany lamps, to the reading selection in the library, and to the comfort of a rocking chair in your guest room. Traditional Rooms in The Holly feature your choice of 1 king, 1 queen or 2 double beds and bathrooms with a shower/tub combo. All rooms are equipped with Wi-Fi, LCD televisions, feather-top bedding, a mini bar and safe. Holly Suites feature a king bed in the bedroom with a connecting living room with sofa, 2 chairs, television and small refrigerator. Suites also include Wi-Fi, LCD televisions, feather-top bedding, a mini bar and safe. We offer two bi-level suites at The Holly. 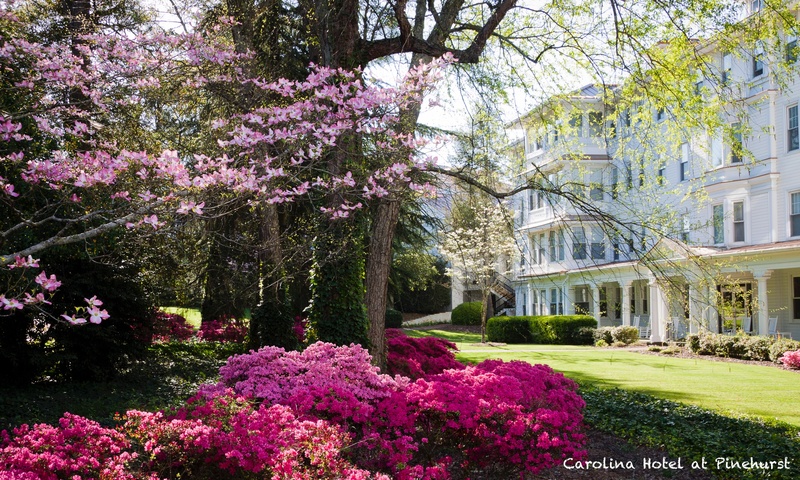 The Manor Inn is located a short walk from the Carolina Hotel and is the most modest of Pinehurst’s 3 hotels. Built in 1923, the Manor features 42 guest rooms including suites and adjoining rooms. Traditional rooms in The Manor feature 1 King, 1 Queen or 2 Double beds. All rooms are equipped with Wi-Fi and LCD televisions. The Carolina Villas are located adjacent to the Carolina Hotel and feature 4 separately-keyed bedrooms each with 2 queen beds, connecting to a central living area and kitchen. First floor Villas feature a private patio. Second floor Villas feature a private porch. The Villas are ideal for golf groups. The Condominiums feature either golf course or lake views and are located a short shuttle ride from The Village and other resort amenities. Two and three bedroom condominiums each feature a full kitchen and spacious living area. Features include Wireless Internet, High-definition televisions, Fresh linens and daily housekeeping, Full access to Resort golf courses and dining venues, Access to Resort pools and Lake Pinehurst (seasonal), Complimentary shuttle service throughout the Resort, Babysitting services, available by request. 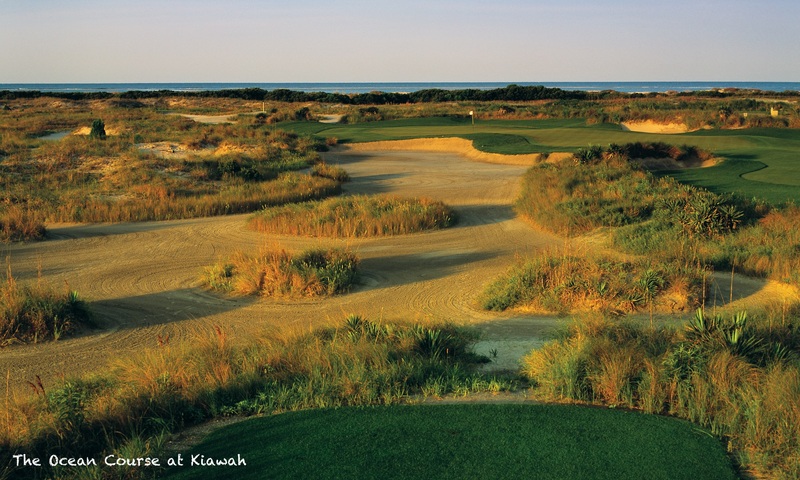 For details of dining, activities and golf please take a look at our Pinehurst intro and Pinehurst Golf pages.